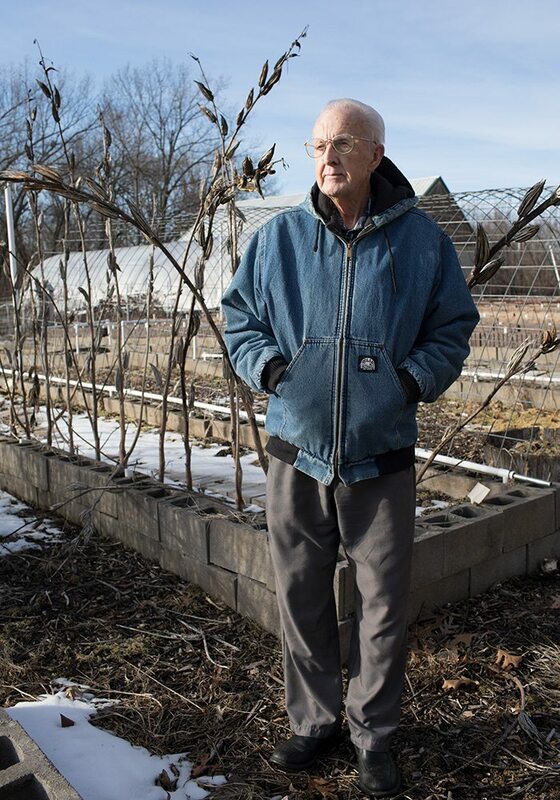 Photo by Chuck TraversPrepper and survivalist Len Pense developed a raised-bed system of gardening and a patented soil formula that he still uses on his own property to stay self-sufficient. "I had a dream not long ago that was sort of like God said, ‘I will show you these things,’ and that we’d lost both grids on the East and West Coasts, and I saw trains coming in, packed, standing-room only, from both coasts, and they were just releasing them into Mark Twain and everywhere. Those people were then forming little camps—15, 20 people per camp. And I saw a colored boy and a white boy, youngsters, and they were talking. And the white boy is talking, and he says if you steal wood from any of those people, only take one piece, because if you take more than that they’ll miss it. Photo by Chuck TraversThe local community of preppers thinks we're one wrong move away from the power grid collapsing and the end of civilization as we know it. The bald snow tires on my ’06 Accord struggled to achieve the grip needed to summit Len Pense’s long, steep driveway. If the grid goes down the way he thinks it will, you’d need a tank to ascend the eroding gravel path because the 83-year-old Army veteran knows exactly which oak tree he’d fell across the route, lest the marauders come for his cache of, among many other things, 44 raised-bed gardens of food. One way in, one way out; that’s what sold Pense and his wife on the 21-acre hilltop property in Strafford some 25 years ago. Pense tells me this sitting beside the fireplace that heats the furnace-less cabin, necessary in the damp 40-degree weather. 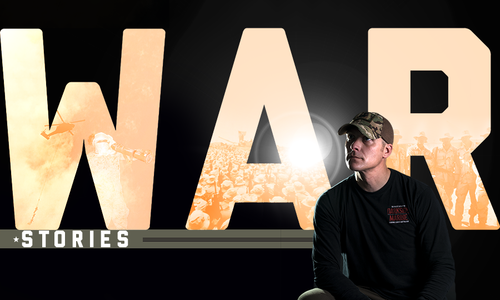 He wears a Realtree camouflage jacket, circular wire-framed glasses, gray slacks and black leather shoes. A sign above the fireplace reads: “Invest in precious metals. Buy lead.” Carved in a split log on the mantel is, “A country boy can survive.” The guttered roof deposits 30,000 gallons of Ozarks rainwater into storage tanks outside each year. It’s a prepper’s paradise. And what better place to prepare than the Ozarks? Strafford got 47 inches of rain last year; the mean temperature was a mild 59 degrees. The Springfield Plateau has a 200-foot-deep aquifer for when rainwater gets scarce. 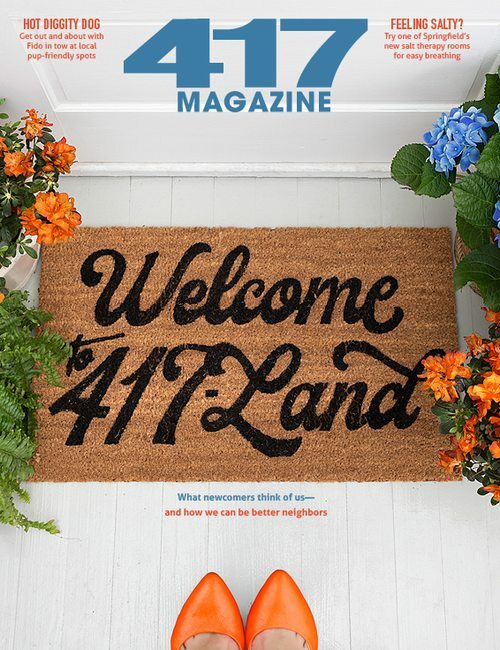 The region is largely insulated from natural disasters—save the odd tornado or benign rumbling from the Bootheel’s New Madrid Fault Line—and the low population density of like-minded folks means preppers, survivalists and homesteaders get left alone. A Lebanon real estate agent tells me remote acreage is an increasingly hot commodity for city dwellers eager to go native. Conversations with locals and time spent on survivalism forums reveal a religious cohort who believe the Ozarks are God’s country—sacred ground upon which one can wage a last stand against the sins of a rapidly globalizing world. When he gets up to show me about his cabin, Pense stands with the height and permanence of the dignified trees that encircle the property. He doesn’t say “um,” or “well”—the slow, deliberate syllables that emanate from his jowls feel like historical record, perhaps with a sprinkle of Americana, but not quite jingoism. Listening to him talk about his life is like having R. Lee Ermey recite your high school American studies textbook, but gentler. During his 45th Infantry Division, Pense taught field wiring, instructing G.I.s on setting poles and stringing wires to rig together a communications network from scratch. After the war, he was an electronics engineer in the private sector, sometimes on military contracts, learning the frailty of the nation’s power grid firsthand. On one government contract, he witnessed a nuclear warhead knock out power in Hawaii after detonating high above the Pacific. the uninitiated, unprepared masses whose balded snow tires will halt at the felled oak tree atop his withering driveway, those whom he tried to help but wouldn’t listen. In the early ’80s on a job for the State Department to reinforce U.S. embassies and consulates following the 1983 Beirut barracks bombings, Pense says he and other government contractors around the U.S. converged on CIA headquarters at Langley, Virginia. The consortium of engineers traded notes and decided that the U.S. power grid was vulnerable. Inadequate, Pense says, compared to everything that’s been hung on it, and that was three decades ago. Three high-altitude electromagnetic pulses (EMPs) could take the whole thing down. Like New York City’s 1977 blackout, looting and pillaging would rule the streets, and that’s if they can get the lights back on quickly enough—if the power stays off for too long, order is lost forever. So Pense returned from Langley to his five-bedroom, four-bathroom Springfield, Missouri home and told his wife it was time to “get out of Dodge.” That’s why Pense lives where he does and dreams the dreams he has. But there’s a catch. Leonard Douglas Pense, who engineered the latter half of his life to outlive civilization, has stage 4 bone cancer. He got the diagnosis in July 2017, and the doctors gave him a 50-50 chance of living another year. By sheer matter of probability, civilization will outlive him. Pense has no regrets about this. If anything, he feels sorry for the rest of us: the uninitiated, unprepared masses whose balded snow tires will halt at the felled oak tree atop his withering driveway, those whom he tried to help but wouldn’t listen. By his own estimate, Pense says there are a few thousand people in the Springfield area who have listened and who are ready. The preppers. Most don’t like to be called preppers because of the connotation that they’re crazy; Chicken Little wasn’t well-received by his people, either. Most don’t even like to talk about it, but a few of them do. So for three months toward the end of 2017, I sought out the doomsday survivalists to find out: Is it really crazy to live like the sky is falling? 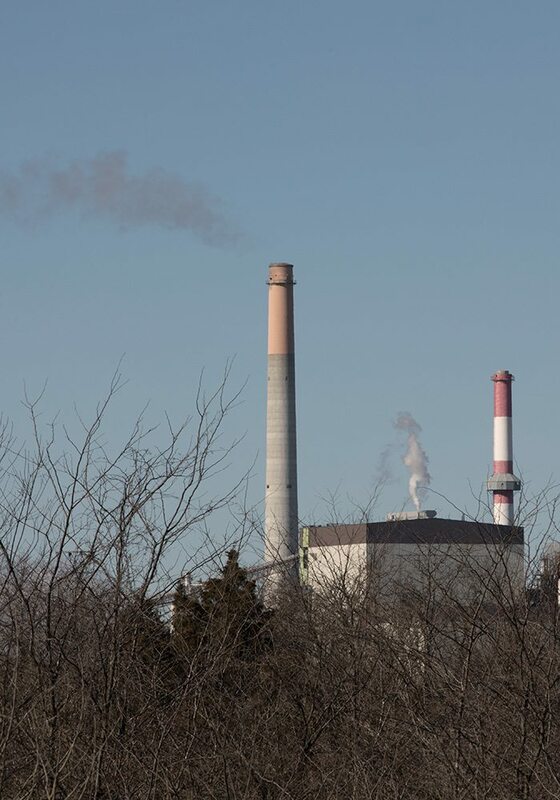 Photos by Chuck Travers (Left) City Utilities retired three of the seven units at James River Power Station in December 2017. The other four units are not currently in use. (Right) Len Pense developed a revolutionary gardening system for survivalists and now teaches survival classes in his Strafford cabin. Like Fight Club, the first rule of prepping used to be you don’t talk about prepping, at least not in Springfield. Sure, prepping is highly fashionable during a collective panic like Y2K or the area’s 2007 ice storm, but by the time Price Cutter restocks bread and milk, many preppers assume people will resume thinking they’re crazy. What programs like Doomsday Preppers have accomplished, or at least contributed to, is turning sometimes well-informed, sometimes totally unwarranted paranoia into a booming prepper-industrial complex. Each year, swap meets pack hundreds of convention centers and fairgrounds across the nation—they’re like camping shows with a dose of military surplus and hands-on instructional sessions. The September 2017 Kansas City Survival Expo & Gun Show, for instance, had tips on seed saving, “Overcoming 900 Health Diseases” and “A Devastating Street Self-Defense System.” The latter was taught by Norman Cantwell, who inspired Patrick Swayze’s character in Roadhouse. You get the feeling that he and Steven Seagal would be friends. Popular at this particular show were bug-out bags, the vendors tell me, because the casual interloper can purchase a lot of peace of mind all at once. For $449, Lenexa, Kansas retailer Game Plan Experts sells a bag with waterproof matches, a flint fire-starter, energy bars, utensils, a camp stove, water pouches and filtration, a first-aid kit, masks, a survival whistle, a pry bar, a folding shovel, an emergency blanket, toilet paper, a toothbrush, a hand-crank radio, survival candles and more. For the über paranoid, they’ll find a discreet contractor in your area to dig a hole in your yard and install a doomsday bunker. Other vendors cater to a more ostentatious clientele. A 55-pound bag of ammonium nitrate runs you $175. “Perfect for exploding targets,” the label reads. The same table sells 9 mm tracer rounds, “excellent for developing your Kentucky Windage” and cannon fuses, because why the hell not. After his instructional on seed saving, Nocks tells me that in 2006, God told him to move his family from a 5,000-square-foot home in Lee’s Summit to a simpler life in the Ozarks, where he now has the supplies to last himself, eight adults and nine children at least six months. “God was just leading us to be more simple-minded,” he says. Nocks isn’t alone in his migration. Preppers fear marauders: Being robbed by unprepared neighbors and even family members is a universal concern. To survive a catastrophe, Nocks says, move out of town and shut up about your stash. However, also like Fight Club, it wasn’t long after Y2K that a Springfield preppers group started chatting about their extracurricular activities. One man, Vincent Finelli, tried to bring them together and teach preppers from all walks of life how to survive, only to be cast out by the people he tried to save. Finelli sits across from me at the food court picnic table inside the Sam’s Club on Sunshine Street, where he requested we meet. The retired computer systems designer-turned–radio show host and homesteader has salt and pepper hair, wears a plaid shirt and jeans and carries a .45-caliber automatic firearm on his person (he won’t say where). Below his strong jawline hangs a leather bag full of crushed sapphire, meant to enhance his overall health. Finelli’s not from around here; an adopted Midwestern politeness hardly masks direct, fast-thinking, faster-talking East Coast roots, although he won’t tell me where he’s from exactly. He’s guarded like that. He won’t say where he went to college, only that he graduated from a prestigious undergraduate program and then got an MBA; nor will he say where he worked after, only that he started a company on the West Coast to manufacture satellite communications receivers before a Japanese competitor threatened to kill him. He will say he knows the moon landing was faked. In 1982, he moved back east from California and began designing computer systems for a Fortune 100 credit card company. “I was a computer jockey,” he says. “So for example, when you think of press 1, press 2, press 3 on the phone: I built one of the first systems in banking on the East Coast, and I apologize for that.” Finelli’s company began securitizing debt portfolios, a process that began in the ’80s and fed into the mid-2000s financial crisis. Finelli didn’t like that. “That’s when I had that moment of, ‘This is a house of cards,’” he says. So in the late 1980s, he quit and became a farmer, first out East, then in Grovespring by 2005. He points to the cash registers over his left shoulder. “I’ll bet you there’s not one thing you bought today that didn’t use electricity in the transaction,” he says. Before Y2K, Finelli says he owned a small computer manufacturing company and personally upgraded 8,000 operating systems so the dates would roll over from 1999 to 2000. “Because they wouldn’t,” he says. “There was a defect. I know that computer systems are frail because I built them.” He says a widespread power outage would cripple us—no electricity, no trading debt portfolios, no buying wholesale taquitos on credit. Around 2011, Finelli sat in the waiting room at KWTO ahead of his radio appearance. He was there to spread the gospel of preparedness to family and friends who he thought needed to know. It was his first time on-air. He was nervous. Springfield pain specialist Dr. Norman Shealy noticed Finelli’s angst after he finished his own radio spot and gave him a few drops of Air Bliss, an essential oil blend he developed to calm the nerves. The remedy worked, and Finelli began wearing his new friend Norm’s sapphire crystals around his neck. After the KWTO spot, Finelli launched USA Prepares, his own radio show on the Genesis Communications Network—home to talk radio personality Alex Jones. He claims his solar-powered studio is the world’s only off-grid global radio show. If 7 billion people suddenly lost power, he would be Ira Glass. For now, he broadcasts Monday through Friday, 9 to 11 a.m., and Finelli invites “instructors”—doctors, dentists, survivalists, a man who carries no identification, an Australian woman who talks about seceding from the government—anyone who has something relevant to preparedness. To Finelli, there’s little that isn’t relevant. He doesn’t sell merchandise or accept donations, as fellow GCN hosts such as Jones do. His name is Andrew:—he has no last name; he says adding the colon keeps him from being cataloged in "the system." Also in 2011, Finelli started running the Get Prepared Expo series at the Ozark Empire Fairgrounds, bringing in hundreds of exhibitors and more than 70 preparedness seminars. Before doors opened, he’d host a get-together at Ziggie’s Cafe on North Glenstone, which he soon moved to Jimmy’s Egg on East Battlefield to accommodate the crowd. At Jimmy’s Egg, Finelli found another platform from which to preach preparedness. He started drawing a crowd—more than 330 on expo weekends—so Finelli made Jimmy’s Egg a weekly affair. On Monday nights, his radio instructors showed up or Skype’d in to mold the minds of 50 to 100 students. The meetups—a name borrowed from Ron Paul’s 2012 community get-togethers—were also social events, although Finelli kept the BS to a minimum. Remember 2012? The Mayan calendar predicted the world would end in December. Doomsday Preppers premiered in February. The country was in an apocalypse mood, and thanks to Finelli, Springfield’s former Boy Scouts and ex–Tea Partiers came out of the shadows to mix it up with doctors and dentists. They had little else in common, but to borrow Finelli’s term, they were preparedness-minded. Springfield, MIss community was born. Finelli remained at the helm until he came down with pneumonia in late 2016. Months before, an interloper who claimed to have no Social Security number or driver’s license had driven up from Arkansas on nitrogen-filled tires, used to skirt a law requiring licensing for vehicles with air-filled tires. His name is Andrew:—he has no last name; he says adding the colon keeps him from being cataloged in “the system”—and his resourcefulness impressed Finelli, so he offered Andrew: the mic during his absence. He never got it back. 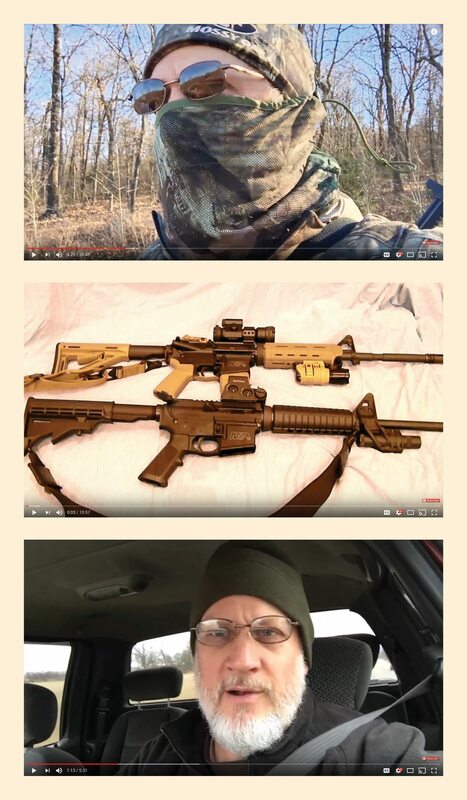 Martin Fletchall, known as Fletch, posts videos on his YouTube channel, OzarksTactical Homesteading, reviewing tactical gear like camouflage and comparing models of M&P rifles (top and middle). He also lets viewers know his political views through car rants (bottom). 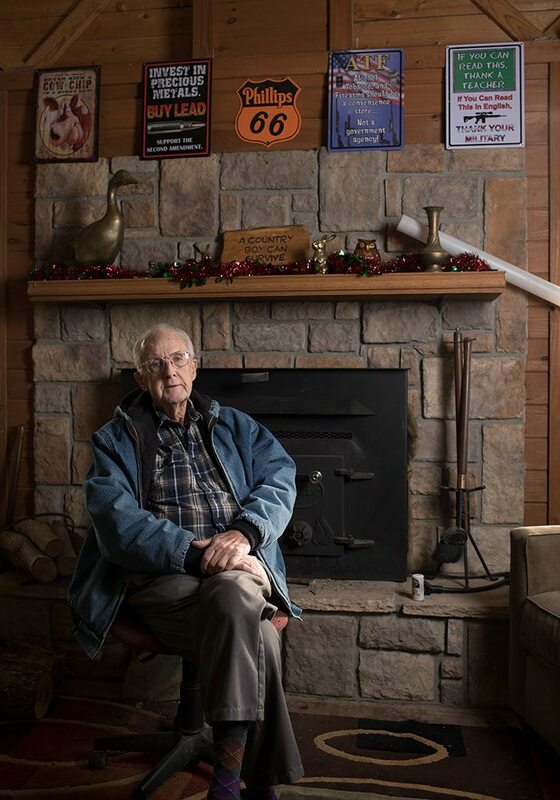 The doomsday preppers you’ve seen on TV tend to look similar: rural Americans, typically white, conservative, distrusting of government and Christian. And although you’ll find most of those attributes in any given prepper conglomerate, it’s the little decisions that can drive them apart. What’s on the list depends on which faction of preparedness you practice, pre-Y2K prepper and Seventh-day Adventist Church pastor Craig Wiles tells me. There are preppers, who anticipate an event like an ice storm or an EMP; there are survivalists, who arm themselves to face an enemy like a tyrannical government; and there are homesteaders, who grow their own food and practice self-sufficiency. And now, there are Democrats. Fear of the Trump administration is largely responsible for an urban and liberal renaissance within prepping; left-leaning Facebook groups and urban survivalism YouTube channels brim with freshly paranoid Americans who attend the same expos, talk the same shop and wipe with the same bulk supply of toilet paper as the conservatives who voted the other way. That said, I met no openly liberal preppers in Springfield. Nor did I meet any non-Christians. Blame it on geography if you like—one longtime resident told me that Springfield is, after all, full of “flaming fundamentalists”—but is a common religious philosophy necessary for a post-apocalyptic society to survive? Fletch runs the YouTube channel OzarksTactical Homesteading, the description of which reads, “Liberty-minded, faith-based, pro-Second Amendment, pro–home school.” He posts videos on prepping and reviews tactical gear from his property somewhere in northwest Arkansas. Occasionally, Fletch records rants in the car. The mainstream media and Walmart door greeters—the “door gestapo”—are recent targets of his iPhone manifesto. He’s gained more than 5,000 subscribers since launching the channel in 2011. For an hour and 50 minutes, we talk a lot about liberty. The world according to Fletch hinges on the rhetorical question, “Is this going to give me more liberty, or less liberty?” He also assures me that his survivalist group isn’t just white guys running around in the woods with guns. “In my sphere of influence, there are Asians, there are blacks, Native Americans; a person’s race has absolutely nothing to do with anything,” Fletch says. And that’s how the Springfield survivalist group meetups fell apart. Metaphorically speaking, Dr. Shealy brought a ham sandwich. “I’m actually responsible, indirectly, for the end of the meetups,” Dr. Shealy tells me inside his Springfield clinic off Chestnut Expressway, and not just because he thinks the earth is more than 6,000 years old. (Andrew: says you can’t trust anyone who believes that.) He sports a red crewneck, navy blue sweatpants, a stretchy metal watch and rectangular glasses. The 85-year-old—he’s more energetic than most people half his age—specializes in holistic medicine; the first thing he asks me is my birthday, and do I know what my astrological sign means. On my way out, he asks if he can hug me, and when I oblige, a toothy grin pulls wide the spritely doctor’s cheeks. “I believe it’s an important part of human contact,” he says. Anyway, one Monday in February 2017, Dr. Shealy brings in Mas Sajady. He’s a Minnesotan spiritual healer, and he treated Randall earlier that day. Randall beat Dr. Shealy and Sajady to the meetup and fawned over the treatment’s effectiveness, calling it magic and devilish—words that don’t sit well with Andrew:. Louis says most of the room didn’t vote, but of those who did, three voted for Dr. Shealy’s ouster and one voted against. Finelli’s status was never voted on—current members say he’s welcome to come back—but Finelli’s impression was that they’d made their choice about him, too. “How do I tell Dr. Norman Shealy that he was voted out of the meetup?” Finelli asks, rhetorically. “So I told him on-air. I said, ‘Dr. Shealy, they had a vote, and you were voted to be barred from the meeting.’ And he kind of laughed, and I said don’t get all excited, they banned me, too.” He holds no grudges; he says he’s actually glad it happened. Now he knows how his students really felt. If the group became indifferent to Finelli’s leadership prior to his ouster, he became just as frustrated with their complacency. Preppers began ignoring his strict no cell phone rule. Few took concrete steps to be more prepared over the years, he says. He’d set out to develop independent thinkers, not apathetic disciples. “I mentioned to the group that at some point, Vinny may not be available,” Finelli says. “So be prepared at a moment’s notice.” That’s why he feels like he failed: He left the preppers unprepared. During the dinner rush, the Pizza Hut on Glenstone Avenue is a kinetic juxtaposition: fast-moving people behind the counter, slow-moving people in front of it. Carbohydrate osmosis, I assumed. Earlier that afternoon in the Starbucks down the road, Randall told me Andrew:’s meetup group might be here. He’d been hosting meetups in the gymnasium of the Seventh-day Adventist Church on Belview Avenue, but the church disinvited the preppers after clergy leader and RN Janis Hall witnessed Andrew: deliver a scathing diatribe against modern medicine. But here, judging by the veterans’ hats, overalls and waistband cell phone holsters crowding the salad bar, I knew I was in the right place. The group rate for a large pizza is $10, I’m informed, and I take a seat next to Louis while everyone finishes ordering. By 5 p.m., I count 14 attendees—a far cry from Finelli’s regular 50- to 100-prepper head count, but still a decent deal on ’za. David Moore, a Rip Torn–looking man in a blue shirt with long, white hair, hands me a massive squash he’s been holding over his shoulder like a proud-yet-negligent parent. “Ar-go-naut squ-warsh,” he says, explaining the gourd’s pronunciation. Then he hands me a bag of sassafras to smell. It smells like root beer, I tell him. “I know,” he replies. Then a woman wearing a fanny pack, Marcia Brumfield, reads aloud the day’s headlines from decidedly non-MSM sources. The United Nations is taking over the Chicago Police Department to perform population control, evidently. A train crash killed 70 in Seattle. (The figure at the time was actually seven.) It’s implied that Antifa is to blame. “They want a war,” Brumfield says. “They’re the elites, and they want population control.” Last on the docket, “they” are using direct energy weapons to start wildfires in California. It’s unclear who “they” are, but apparently, they’re after the fruits and nuts. “They need all the wisdom they can get back in Arkansas,” says someone, I can’t tell who, but making fun of Arkansas becomes a theme everyone can get behind. Then, for two hours, Andrew: just tells stories. The time he went after Jesse James’ buried treasure, the time he was held at gunpoint while prospecting for gold, the time an 8-inch centipede fell on him while caving in Japan—each story adorned with cliffhangers and near misses. Andrew: can talk. If he couldn’t, Darryl, a regular attendee, would’ve napped for longer than he did. Allen, sitting alone in the far back corner wearing digicam camouflage, directs attention to a recent BBC5 documentary by host Ben Fogle on a prepper in Missouri. 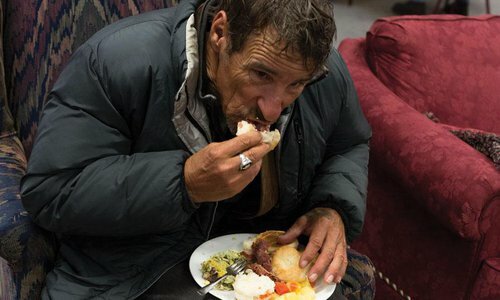 Allen says it made preppers look selfish. “That means he’s one of the elites,” Brumfield announces, as if contesting an answer on Wheel of Fortune. “He’s British,” says a white-haired woman, Joan Bass. “It wasn’t as bad as it could’ve been,” Allen says. Three hours after I arrived, Andrew: senses it’s time to wrap up, but not before breaking into one last story about the Bigfoot footprints he keeps in the back of his car. The prints were collected in Arkansas in 1956, he says, and they belong to an adult male, a juvenile female and an adult female. He says he himself came from the “drug scene hillbillies” and that his ancestors had six digits. “That’s from all the inbreeding down in Arkansas,” Allen says. “I’ve got a cat with four too many toes,” Brumfield says. “You’ve got a woman with four too many cats,” Andrew: retorts. He’s a charmer; the room laughs, and the meeting ends. Andrew: disappears before I can get his phone number. Minutes later, he re-enters the Pizza Hut and slaps three Bigfoot prints down on the table for me to see. Photo by Chuck TraversLen Pense envisions chaos staring on the coasts and displaced people coming to the Midwest. About a month after I left meetup 2.0 at Pizza Hut, former attendee Garland Fitzhugh called to tell me it’s become more of an ‘eat-up’ than a prepper meetup—fair, considering there’s been no local calamity to keep the survivalist group on its toes. Allen emails meeting suggestions to a prepper listserv, asking them to focus on prepping situations they can actually influence. He may as well type in Wingdings. A former Navy technician, Allen spent most of the meeting on his phone; his ears only perk up when Andrew: says something about naval intelligence that piques his interest. “I try not to do that too much,” he tells me later. But then, survivalism is about so much more than riding out the apocalypse; it’s about doing things for yourself. Make your own insurance policy, and make it work for you. Pense just sold his company, Gardening Revolution. For 20 years he shipped the proprietary iron, zinc, manganese, copper, sulfur and boron soil blend. Each bed costs $800, after you buy the cinder blocks and mat. On his best year, he shipped $580,000-worth of them. The magazine John Deere Homestead featured him. He’s taught classes on raised-bed gardening and survival in his cabin ever since. “The record on tomatoes is 274 pounds for one plant. Think about that,” Pense says. “That’s a lot of ’maters for one plant.” More than the ’maters, he’s proud of teaching people younger than him to grow their own food. Curt Rankin—a Lebanon entrepreneur with the demeanor and looks of Mike Huckabee before he got fat—bought Gardening Revolution in December. In his 50s, Rankin is a kid relishing in his father’s approval as Pense, inside the Strafford cabin, explains why Rankin seemed like the best candidate to keep the company going. The prodigal son is already reworking the website and devising marketing schemes to maintain the momentum, and Pense now teaches missionaries, who will take his raised-bed system across the globe. Pense was born in the Dust Bowl during the Great Depression. He was 5 years old when the bombs fell over Pearl Harbor. His food was rationed. He got bronchiectasis during Black Sunday as an infant and “forgot to tell” the Army so he could serve; he stayed in the service until the doctors found out. He’s a product of a generation when people were prepared, not because it was stylish or social, but because it was what you had to do. He tells me all this as his still-strong arm puts another log on the fire, and I can’t help but wonder what the world will be like when resilient people like him are gone. “And carnal nature said, ‘I’ve got eight shots, they’re not by their weapons, I’m going to kill every damn one of them.’ And then I saw the women. Hollow-faced, it looked like you had draped skeletons with cloth. Horrible, and the children were the same way. Far, far worse than anything I had ever imagined. I could see it, I could smell it, I could taste it, I could feel it. It was real. It’s going to be an experience you don’t want to go through.”—A dream Len Pense had, circa Fall 2017. Pense’s scenario isn’t impossible. The nation’s power grid is divided into three regions. He thinks hackers will attack coastal grids first—Missouri is part of the East Coast grid—because killing the lights hits hardest in high-population areas. The federal government is concerned, too. An October 2017 House hearing on the EMP threat noted that The Great Northeast Blackout of 2003 plunged 50 million Americans into darkness for a day, contributed to 11 deaths, and cost the country $6 billion, all because a powerline near Cleveland zapped a tree branch that damaged 0.00001 percent of the grid. In 2012, a high-voltage powerline failure caused the world’s biggest blackout, plunging 670 million Indians into darkness. The attack could start with an EMP, or the grid could get hacked. In 2010, a Belarusian security firm discovered malicious files in the computers of Iran’s Natanz uranium enrichment facility—the world’s first digital weapon. Experts worry most about the grid’s nervous system: 2,000 extra-high voltage transformers. They’re 200- and 300-ton behemoths, individually engineered to meet specific power demands, and on average, they’re 40 years old. Notwithstanding the fact that 85 percent of transformers are imported, the U.S. Department of Energy says it takes between 5 and 16 months to replace a single one. 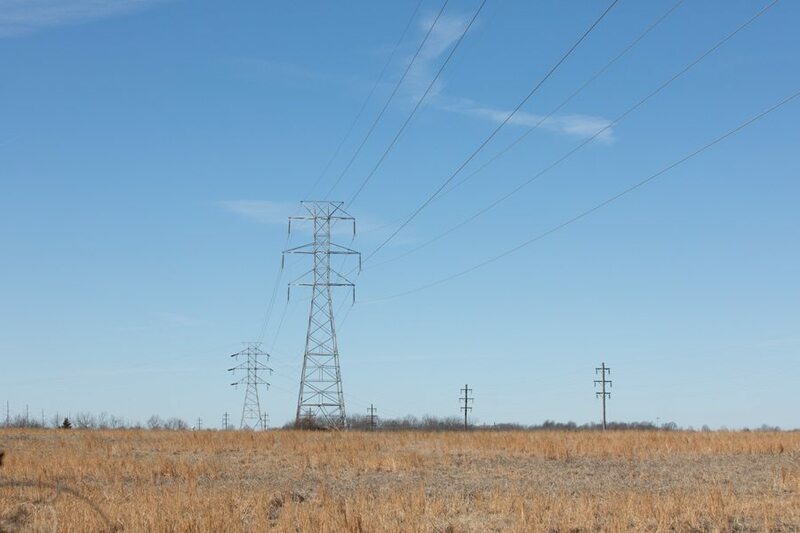 According to the U.S. Federal Energy Regulatory Committee, an attack that destroyed nine of the 2,000 transformers would “cause a protracted nationwide blackout.” There’s no national cache of spare transformers. If you thought Black Friday was bad, imagine the crowds when it's life or death. Pense invites me to imagine a world turned lawless when the ninth transformer blows. Fifteen percent of the New Orleans Police Department deserted during Hurricane Katrina—imagine if the entire force lived where the levees broke. Big box stores killed off regional food distribution centers years ago; all we’ve got is what’s inside Walmart and Sam’s Club, and if you thought Black Friday was bad, imagine the crowds when it’s life or death. Drivers fleeing Springfield will hit roadblocks, where mobs will pull people from their vehicles like the LA rioters did to Reginald Denny. You might commit vehicular manslaughter, the preppers tell me, just to get out alive. Amid the localized terror, trains will deliver the nation’s hapless coastal residents to our doorstep. Pense thinks it’ll look like the Holocaust, that the government will deposit boxcars of starving New Yorkers and Californians into the suddenly crowded Heartland. Then they’ll go back for more. It’s going to be, Pense says, some interesting times. He takes a long pause, reclines in his chair and folds his hands together, daring me to lean in for what he’s about to say. I do. 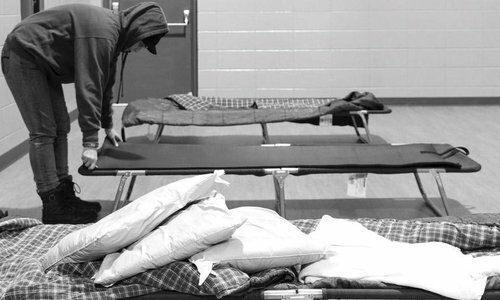 Bob Harris with Game Plan Experts out of Kansas City shared a few handy tips and the supplies that one person would need to shelter in place for six months. “Two is one. One is none.” Assume something will go wrong with your provisions/gear. Rule of Threes. The average person only has the following time frames (all related to some measure of three) to survive: three minutes without oxygen, three hours in harsh climate (e.g. severe cold temps), three days without water, three weeks without food. The average male needs to consume 2,500 calories per day, and the average female needs to consume 2,000 calories per day. The average person needs 2 gallons of water per day (minimum) to survive: ½ gallon to drink, ½ gallon to cook, 1 gallon for cleaning and hygiene. Most people will only have about three days’ worth of perishable food in their pantries. Beyond that, they will need to build up long-term food reserves. Harris recommends a mixture of food supplies to incorporate variety, but also to maintain a healthy balance of nutrients. The average man would need to consume approximately 450,000 calories over a 6-month period. The average woman would need approximately 360,000 calories. Most canned goods and properly packaged (nonrefrigerated) items will last six months to a year, so Harris highly recommends caching a good portion of your long-term foods with items that you already eat on a regular basis (e.g., canned corn, peas, green beans, etc.). SOS Food Ration Bars. Each brick contains approximately nine 400-calorie bars totaling 3,600 calories. Liberty Tree (Gluten-Free) Dehydrated/Freeze-Dried pre-packaged meals. Each bucket has a 20-year shelf life and consists of approximately 18,000 calories. 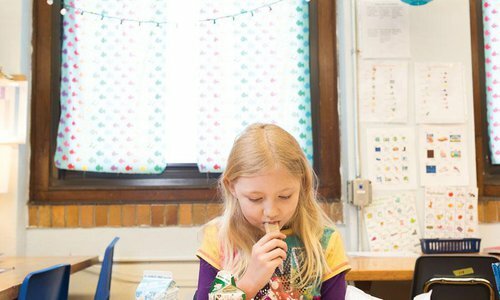 To eat for one day, Harris recommends something like this: an SOS bar for breakfast, a Liberty Tree pre-packaged meal for lunch and a meal of one vegetable, one protein and one fruit from long-term food storage supplies for dinner. Be sure to have a good daily multivitamin during this period to supplement the vitamins and minerals needed to maintain your health. Boiling, chlorination (liquid bleach) and/or distillation is highly recommended for any long-term water storage solutions if you do not have a good water filtration system.